Immigration plays a very significant role in shaping the Australian economy as well as its social life. For the past few years, the country has witnessed waves of migrants coming from different parts of the world, contributing to its economy, and influencing development across the nation. Australia’s immigration rules for Permanent Residency and migration programs have also evolved over a decade, thus giving aspiring candidates hope for a better future and personal life. An Australian permanent resident is entitled to live and travel across Australia for an indefinite period of time. However, if you want to travel overseas and then return to the country, you need to apply for a Resident Return Visa in every five years. On obtaining the permanent residency, the candidate is entitled to pursue any career or course they wish to do so. They have various options available in terms of jobs or studies anywhere in the entire county. As per the Australian PR rules, PR holders can work with any employer in any occupation. They can also take part in trade unions and have the right to claim worker’s compensation. However, working in Public Sectors or Federal Government Sectors is restricted to Australian citizens only. Permanent Residents to Australia are entitled to receive social security benefits such as health insurance, child care benefit, family tax benefits, etc. They also become eligible to Medicare that covers a number of health care possibilities. Additionally, PR holders are also entitled to seek a support from Centrelink, Department of Human Services for social security payments. These benefits are given to children, elderly people, people with disabilities, unemployed citizens, and parents. Anyone living in Australia as a permanent resident has the right to apply for the citizenship in after four years. Once the citizenship is granted, the person becomes eligible to a number of benefits such as hassle-free entry and exit from the country, apply for government jobs, enjoy a visa-free travel to up to 169 countries. financial assistance in education, and a lot more. Children born from Permanent Residents of Australia are entitled for the Australian citizenship by birth. These children have the maximum advantages in terms of higher education, jobs, and health care. All said and done, these are some of the major benefits of having an Australian PR. 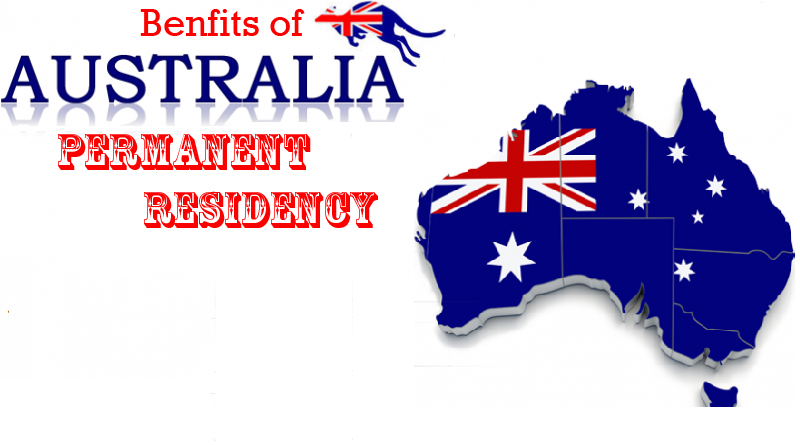 However, securing an Australian residency isn’t as it as it seams as one has to cross a number of migration hoops to be granted with the residency status. But, once you have then there is no limit of the privileges you can enjoy for the rest of your life.